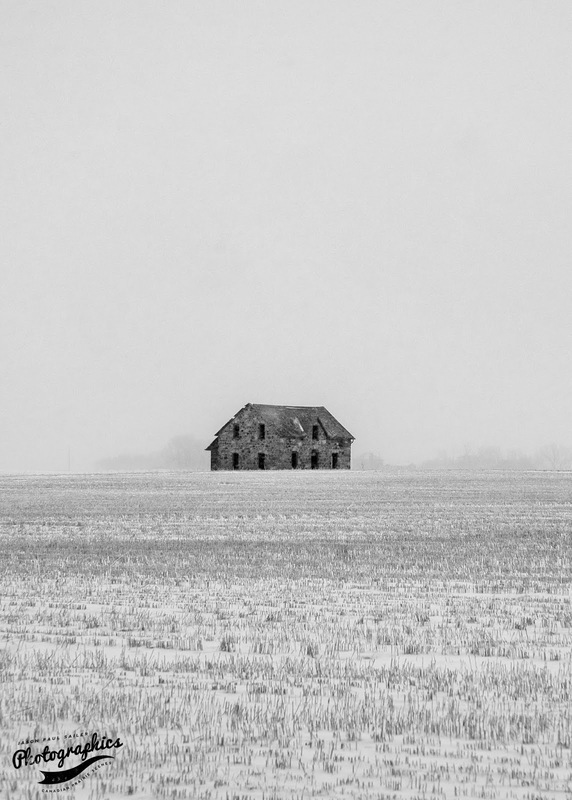 An abandoned stone farmhouse, located north of Regina, Saskatchewan, January, 2019. Big! Must have been lots of rocks in those surrounding fields.